Which Sony E-Mount Lenses to Buy – Buying Advice? 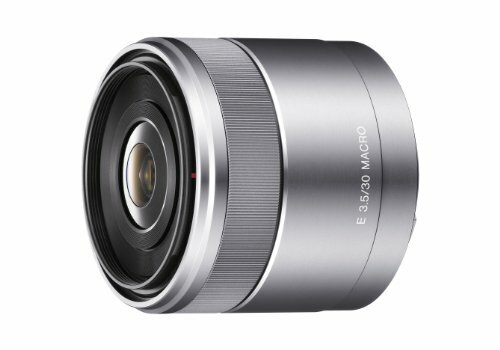 Sony has a product line known as the Sony E-mount lenses which are compatible with the brand’s New E-mount experience (NEX) and ILCE series of mirrorless cameras and camcorders. The development of these lenses gave Sony the opportunity to create more compact digital image capture devices as compared to before while still maintaining compatibility with these newer lenses with full-frame sensors. Sony E-mount lenses are known to be less complex when it comes to its mechanical architecture as it has removed the focus drive and mechanical aperture which can be found in many A-mount lenses. 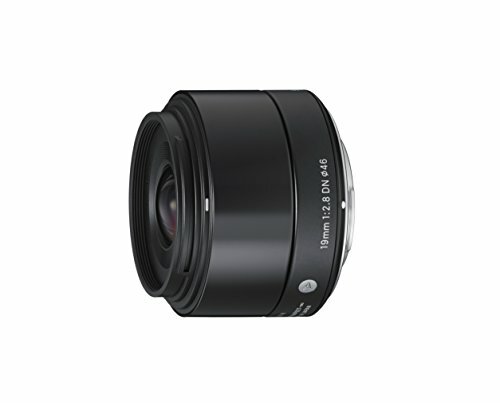 It now also has a shorter focusing distance as compared to its predecessor line of Sony mirrorless lenses. There are different types of Sony E mount lenses available, such as those that are fit for portrait, wildlife, street, landscape, and macro photography. Let this guide give you a better idea of what you should purchase with your hard-earned cash so that no regrets will be felt later. Picture this scenario (no pun intended) – you’re practicing your landscape photography, and you see a beautiful scene on the horizon. You ready your camera that’s compatible with Sony lenses, only to find out that there’s no easy way to traverse to the location. With time running out, you’re left perplexed, and perhaps you might even give up. If this is the kind of scenario you’ve been experiencing, then an excellent solution to deal with this situation is to get wide-angle zoom E mount lenses. If you have such a lens, you don’t have to walk (too much) to the location of your choice just to get a decent shot. The Sony 10-18mm is an excellent wide-angle zoom E-mount lens that can take brilliantly sharp images with your mirrorless camera system. It is decently compact that you can take it along with you on your travels. It is made of high-quality, durable material, which means it can dish out most minor bumps and scrapes like they were nothing. However, the price does carry around a meatier heft as compared to other lenses found within the same category. As such, it might be an even better Sony E-mount lens if it would have a maximum aperture of f/2.8. Still, at f/4, you can still great images from it. Just don’t expect it to do quite well while under low light situations with low ISOs. Prime lenses are known for two things – one is that they have high apertures, which means they can take in more light as compared to zoom lenses, and two is they don’t have the innate ability to zoom. Therefore, if you want to get closer to your subjects, you’re going to have to use your feet to zoom in and out. Not being able to zoom through the lens itself is a decent tradeoff, especially if you consider that the lens can take in more light. It can also bring about a more shallow depth of field. If you’re into landscape photography that likes to incorporate the “bokeh” technique in your shots, then consider getting these Sony E-mount wide angle lenses for your mirrorless camera system. 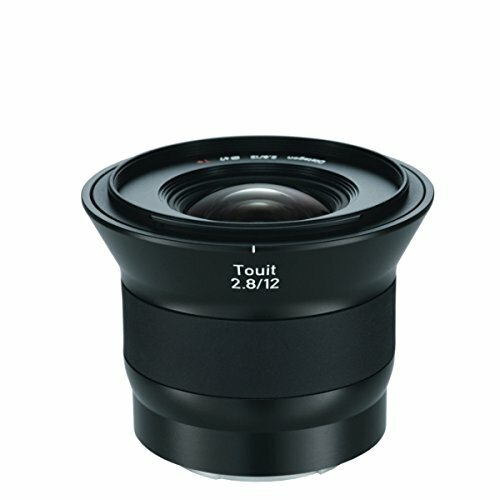 The Zeiss 12mm f/2.8 Touit entered the market with a unique design. 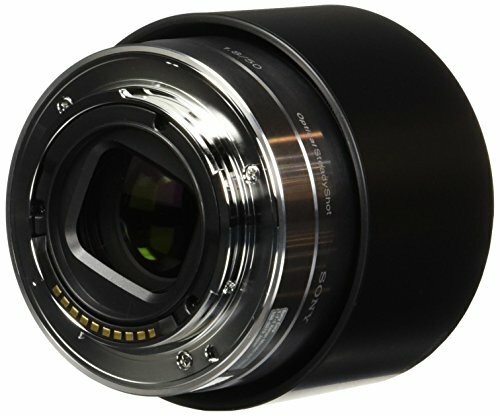 Its look is reminiscent of a cone shape with a cylindrical shaft, even when a lens hood is not attached. 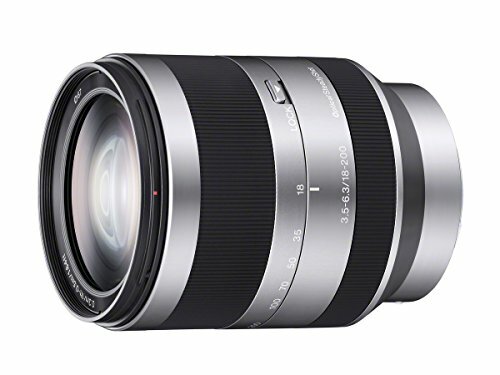 But enough about its design, what you’re going to get with this Sony E-mount lens is a high-performing piece of glass that can deliver excellent resolution with plenty of contrast. It also has a floating elements design. It means that the chances of chromatic aberration for images are minimized significantly. In fact, you might not notice these ugly discolorations at all (if they do exist in your shots). Sharpness for subjects is excellent, and it has an above average maximum aperture so you can have reasonably creamy background blurs if you’re practicing street and portrait photography. The Sigma 19mm f/2.8 DN e mount lens is primarily built for cameras that can accommodate the sigma e-mount. It features three glass molds for its aspherical lens. Because of this characteristic, it delivers excellent chromatic aberration correction. This Sony E-mount lens also has a super multi-layer coating, and this can produce good color and contrast for your photos. Images shot with this particular sigma e mount lens are very sharp, especially when you’re focusing on your main subjects. While on that notion, subjects will be filled with excellent detail. The build quality is superb, and it is also lightweight. The architecture is also quite compact, so you don’t have to worry too much about precious camera bag space. In fact, it is tinier than the standard kit lens from other manufacturers. 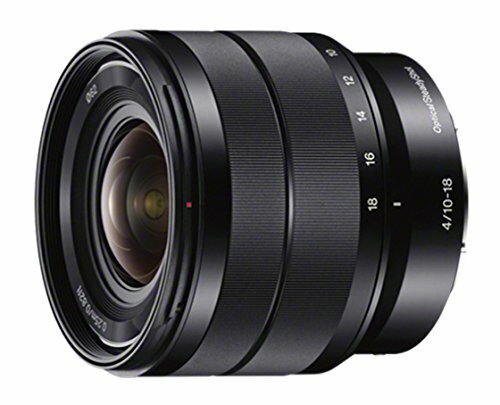 The Rokinon FE14M-E 14mm f/2.8 ultra-wide angle lens is compatible with Sony mirrorless cameras. You may not consider it as an ultra-wide angle lens right off the bat due to its looks. But know that it’s 14 mm focal length lets you gather as much of the horizon as possible with each shot. When you use this particular Sony E mount lens, your images will be full of detail with plenty of color and contrast. With its f/2.8 maximum aperture, it can bring in an above average amount of light. Furthermore, with that figure for its aperture, you can practice your “bokeh” skills with it, if you so desire. Photographers are warned, however, that the optics of this lens is not electronic. Nonetheless, manual focusing with this particular Sony E-mount lens is still easy and straightforward to do. One look at the price tag of the Sony Carl Zeiss Sonnar T E 24mm f/1.8 E-mount lens is enough to make any person shy away from it. However, for those who are willing to break the bank to acquire one of the best Sony E mount lenses in existence, then you’re in for a marvelous treat. The images coming out of your mirrorless camera with this lens attached is so sharp that it might even be mind-blowing. In fact, just saying the images are tack sharp when using this particular E-mount lens might even be called an understatement. You can compare just how detailed the images are when you take a shot of the same scenery with your kit lens. You will see that the difference in sharpness and contrast between the two images are leagues apart. Just be ready to spend an arm and a leg if you’re planning to get this. Portrait photography has been around for ages, and it is still one of the preferred styles of picture-snapping for many amateur or professional photographers in the world. If you have a mirrorless camera, especially if it has the Sony brand, then you might consider getting Sony lenses to boost your portrait photography to the next level. Do note that the following Sony E-mount lenses are prime lenses. For you to zoom in and out of your subjects, you need to use your feet. However, these Sony lenses have high apertures. As such, they can give you sharp details for your main subjects, whereas the background is a nice creamy blur. If you’re looking for Sony E-mount lenses that can give you that nice, creamy background effect while your main subject remains pin sharp, then you ought to consider acquiring the Sony 50mm f/1.8 Lens. Many photographers, amateurs, and professionals alike swear by this lens. It is also an excellent Sony E mount lens for individuals who are just starting out in the field of photography. Due to its f/1.8 aperture, the lens can acquire a lot of light, which means that you can shoot images in relatively dim situations. 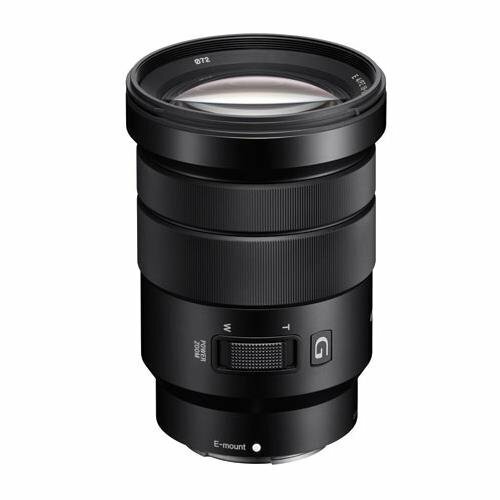 For example, if you’re inside a dimly lit nightclub, but you want to take photos using your mirrorless camera, then you don’t have to bump up the ISO levels all the way just to take a decent picture when you have this particular Sony E mount lens. The Sony 35mm f/1.8 E mount lens is an excellent piece of glass, especially if you have a mirrorless camera touting the Sony brand. If you’re into portrait photography, and if you want to get more in the shot than a 50mm might not give you, then this 35mm variant might be the better option for you. This Sony E mount lens produces sharp images while giving decently blurred backgrounds when shooting with its widest aperture. Even though a 50mm f/1.8 prime lens would give you more of that delicious “bokeh” effect, this particular Sony E-mount lens can still provide above average blurry backgrounds. It is advised, however, that you should update the firmware of this lens before using it to make the most out of it. Many sigma e-mount lenses provide tack sharp images in favorable conditions and when you’re using the correct settings for your mirrorless camera. The Sigma 60mm F/2.8 EX DN Art e mount lens is no exception to that thought. This third-party lens that can fit the NEX Mount joins the ranks as one of the most excellent sigma e mount lenses to have in your camera bag. It produces sharp images, and its f/2.8 aperture means that you’re going to get more than the average performance when it comes to shooting at low light locations. When it comes to focusing, many sigma e-mount lenses are faster than this Sigma variant. Nonetheless, it is not a pushover when it comes to providing high-quality images. Shooting with this Sigma lens does produce brighter images as compared to taking pictures of similar E mount lenses with the same aperture settings. Sometimes, as a macro photographer, you have to get down and dirty to get the tiniest details in your shot. If you want to get the sharpest details of your main subject, then you need to have an excellent macro Sony E-mount lens. With the right lens attached to your Sony mirrorless camera, you can shoot tiny objects that are brimming with detail. Macro lenses specialize in having a very short minimum focusing distance, and the following Sony E-mount lens is no exception to that notion. 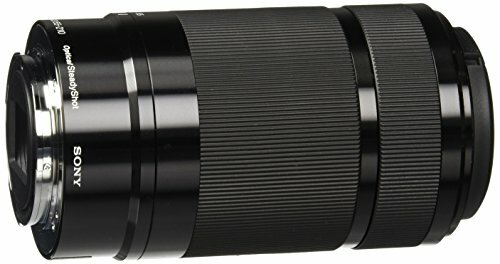 You might even consider purchase this particular lens (which is mentioned below) if you want to enhance your macro images even further than before. There is a wide array of Sony E mount lenses out there that can help you with your macro photography, but only a few stands out from the crowd. Take the Sony 30mm f/3.5 as an excellent example of that notion; it can help you bring out the tiniest details of whatever it is that you’re shooting with your mirrorless camera. Images come out sharp, especially when the focus is on your main subject. With the right settings and the right composition, the background can even have a nice, creamy “bokeh” effect. If you want to test this lens out, you can even bring out a one-cent coin and try to shoot it with this piece of glass attached to your camera. You won’t be disappointed with the results. What is a standard zoom lens? 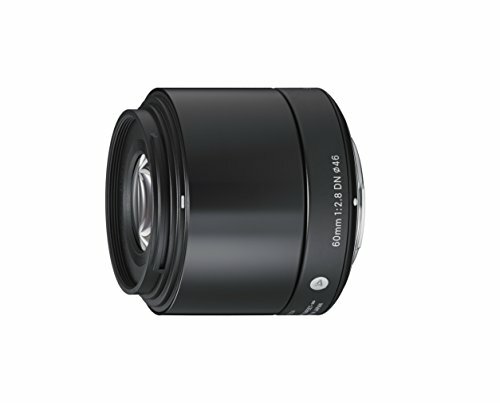 The following Sony E-mount lenses have a fairly decent minimum and maximum focal length. Their apertures are also at a decent level as well. 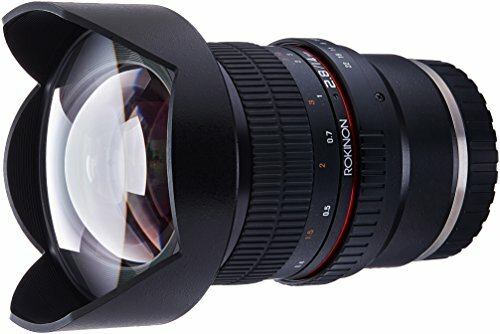 These lenses also have a reasonable price tag, but it doesn’t mean that you’re only going to get “decent” photos with them. When paired with a great mind with an excellent Sony mirrorless camera, you can still take beautiful photos with standard zoom Sony E-mount lenses. Do not underestimate the strength of what these lenses can do despite their price tags. You can still get more than satisfactory shots when you use these Sony lenses as part of your arsenal. Sony lenses come in different shapes and sizes, but the Sony Vario-Tessar T E 16-70mm F4 ZA OSS Lens should be part of your main camera bag. To start, it has an Optical SteadyShot (OSS) feature that allows you to shoot pin-sharp images. Furthermore, it has four aspherical elements with Carl Zeiss anti-reflective coating to help ensure that no chromatic aberration will exist in your photos. This piece of glass joins the ranks of one of the sturdier Sony E-mount lenses on the market as its barrel is made of metal. Therefore, it can brush off minor bumps and scrapes like they were nothing, and it can even survive a fall from a relatively average height (like if it falls off from a table). 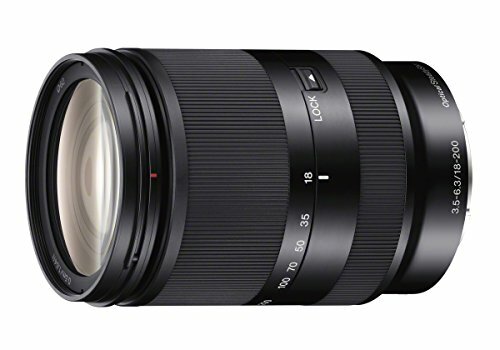 If you’re looking for Sony lenses on the market that can help you in making your images “pop,” then consider acquiring the Sony PZ 18-105mm F4 G OSS lens. It is a high-performing E mount lens that gives excellent contrast for your images. Well, it should be performing well, considering that you will have to pay a pretty penny to get this piece of glass for your mirrorless camera. The feature that separates this lens from other Sony E-mount lenses on the market is its constant aperture throughout the entire zoom range. Therefore, it wouldn’t matter if you’re shooting with its 18mm focal length or if you zoom in at 105mm, you can still use its widest aperture which is f/4. Although many Sony lenses are built for taking still pictures, it does leave out videographers to take on other options. 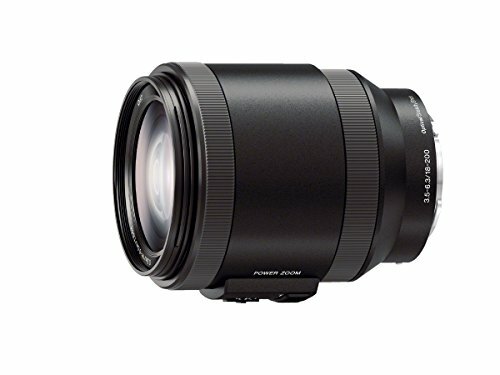 However, the Sony 16.50mm Power Zoom Lens is an E mount lens that is made for still photographers AND videographers. It has a Power Zoom feature, in which users can operate it smoothly with supreme quietness when zooming in and out. Therefore, if you’re recording videos and you decide to zoom in while using the lens, then you don’t have to worry about the whirring sounds of the motors operating (which is a problem area for many lenses, even some Sony lenses have this issue). The following Sony E-mount lenses are deemed as “all-in-one” because you can use them in many scenarios. As such, it wouldn’t matter if you specialize in wildlife, portrait, street, macro, or even event photography, these Sony lenses are a great addition to your camera bag. These Sony lenses have a reasonably long focal length, but a couple of the items on the list below can also let you zoom out at a decent level. Therefore, these Sony E-mount lenses are perhaps the most versatile pieces of glass for your mirrorless camera. Who knows, you might not even take these lenses out of your camera bag as you bring it around to just about everywhere you may go. When it comes to all-in-one E mount lenses for your Sony mirrorless camera system, one model that should be in your main camera bag is the 18-200mm F/3.5 to f/6.3 lens. It offers a high zoom function with built-in image stabilization. As such, even if you have a bit of a shaky hand problem, then you might not have to worry about accidental camera shake too much. 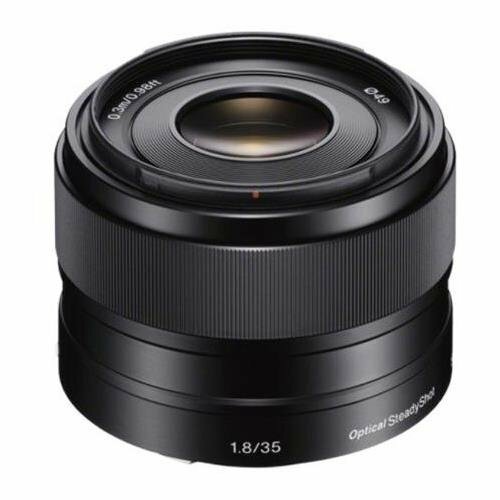 However, it is still important to note that since this has a broad zoom range, it is heavier than many other Sony E-mount lenses on the market. Hence, its overall weightiness can bog your arm down, and holding the camera with this lens attached to it might tire your arm out quick. Still, when comparing it with other lenses on the all-in-one lenses on the market, especially those built for DSLRs, then it is still a light and compact option. There are many things to like about the Sony Alpha SEL18200 18 to 200 millimeter f/2.5 to f/6.3 OSS Lens. To start, when you’re shooting at its widest focal length (which is at 18 millimeters), it can deliver sharper images than using the kit lens accompanied with your Sony mirrorless camera. Also, since this is an all-in-one lens, you’re no longer required to bring any other lens on location. 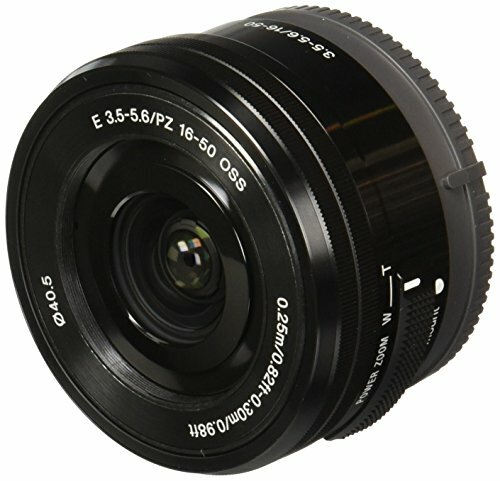 This Sony E-mount lens is excellent for many types of photography, such as event, portrait, street, or even macro. Also, since you can zoom in and out with this piece of glass, you don’t have to switch it out with other Sony lenses if the need arises (which would otherwise be the case if you’re using Sony E mount prime lenses). 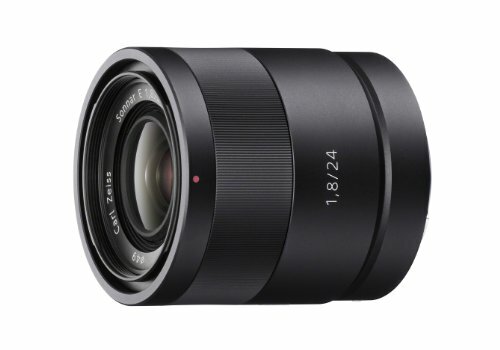 The Sony SELP-18200 Zoom Lens is not just another piece of glass found within the all-in-one family of Sony E-mount lenses. The reason behind that thought is that it is more of a superzoom lens rather than an ordinary zoom lens. Furthermore, it focuses more on videographers as opposed to individuals who prefer taking still pictures with their E mount lenses. It also has a built-in Optical SteadyShot image stabilization feature to reduce the occurrence of accidental camera shakes. However, you should prepare your wallet and bank account if you’re planning to get this lens because there is a large heft in its price tag. But once you do get it and attach it to your mirrorless camera system, you might not look back to other E mount lenses ever again. If you want to zoom in close to your subject without using your feet to achieve desirable results in your images, then you need the best telephoto zoom lens for your Sony mirrorless camera. When you have a telephoto zoom Sony E-mount lens, you can shoot photos of various types of fauna with a minimal chance of being detected. Telephoto zoom lenses take pride in having long focal lengths, and the Sony lens mentioned below is no exception to that notion. It can also be utilized for certain purposes other than wildlife photography. For instance, you might be a private investigator and would want to snap photos from afar without being seen. The Sony E 55 to 210 millimeter f/4.5 to f/6.3 Lens is a top-notch performer among many other Sony lenses. It is an excellent lens for your Sony mirrorless camera system that can deliver sharp images, especially if you’re focusing correctly on your main subject. With the right composition, backgrounds appear to have that creamy blur to isolate the foreground from it properly. Another great aspect for this lens is its price tag. 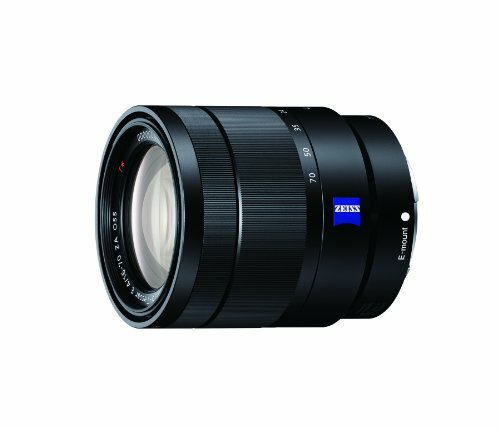 When you compare it to other Sony E-mount lenses on the market, this lens has a suitably reasonable price point. It provides excellent value for money, and you’re going to get beautifully sharp images with plenty of contrast in return. The zoom range for this Sony lens is not to be trifled with either. At 210 millimeters, you can effectively shoot from a safe distance without disturbing flora and fauna. If you’re into wildlife photography, this is one of many E mount lenses that you shouldn’t miss out. One of the most excellent advantages to having a Sony mirrorless camera is you can swap out its Sony E-mount lenses to allow you to get your desired shot the way you imagined it. Since technology has been kind to photographers, you can now take a wide array of different photos with just a single camera unit. However, you might now be wondering as to how you should go about searching for the right lens for your needs as a photographer. What you need to do is to ask yourself the right questions before you decide on making any purchase. Sony lenses are not cheap, as with just about other Sony E-mount lenses on the market. Therefore, you need to assure yourself that your money is going to give you excellent value so that no regrets will be felt later. When you’re searching for a particular Sony E-mount lens on the market, you might get a bit confused because of all the variations available. It is important to know what type of photography you want to practice with the lens to help you to achieve the outcomes you desire. Do I Have the Right Camera for Sony E-mount lenses? Asking yourself if you have a camera that allows you to change its lens can be a very basic question, but beginners to the field of photography might still be new to the idea of interchangeable lenses. Furthermore, if you’re still a newbie photographer, then you might still be confused with the many E-mount lenses on the market. There are lenses for SLRs, DSLRs, and, of course, mirrorless cameras. There are even lenses that are specifically designed for camcorders. Before you pull money from your wallet to pay for a lens, make sure that your camera has the right amount for it. Many camera shop personnel know their stuff when it comes to photography gear so they can lead you in the right direction. In fact, they might even inquire about what type of camera do you have, and they can assist you in choosing the right lens for your budget and photography needs. What Type of Photography am I Going to Practice? Street, portrait, macro, still life, sports, or nature – these are but a few of the many types of photography that you might want to practice. Many photographers decide on practicing only one or two fields of photography. Still, there are circumstances when even the most experienced photographer will get into a rut and will unable to make their creative juices flow because they’ve been doing the same thing over-and-over again. As such, you might want to get Sony lenses that will best suit the type of photography that you want to focus on doing. For instance, if you’re planning on practicing portrait photography, the prime Sony E-mount lenses are the way to go. For wildlife, then you ought to consider getting zoom E mount lenses. As for landscape photographers, going for wide angle or ultrawide angle Sony E mount lenses can be your best bet. How Large Should the Aperture be for my Chosen Sony E Mount Lenses? Most prime Sony lenses have wide apertures, which means these pieces of glass can take in a lot of light. As such, they can let you shoot in relatively dimly lit situations, which might be a boon if you’re into certain fields of photography such as taking pictures of concerts and events. On the other hand, if you want to acquire zoom Sony E-mount lenses, then you need to deal with the lower aperture range. As such, they won’t take in as much light as compared to shooting with prime lenses with a wide aperture. The tradeoff here is that you can zoom into your subjects without having to walk to that location. It can be useful with concerts or even shooting landscapes when it can be nigh impossible to get to a certain area of the land. Do I Have to Spend so Much Money on Sony E Mount Lenses? First of all, let’s face facts – Sony E mount lenses are never going to be cheap. These items cost a pretty penny, and some of them can even let you break the bank. However, if you’re serious about bringing new heights to your chosen craft, then there won’t be regrets to shelling out a lot of your hard-earned cash for a piece of high-tech glass that you’re going to attach to a mirrorless camera system. Purchasing Sony E-mount lenses is an investment, and you should always take proper care of your expensive items.